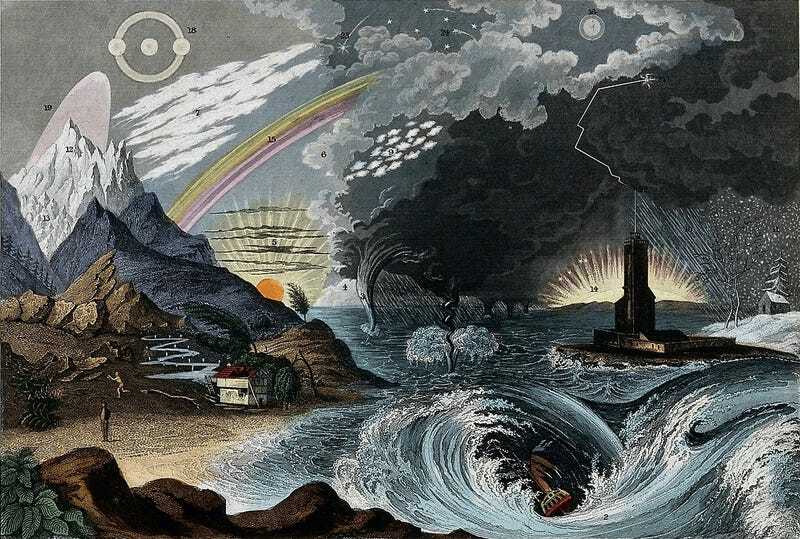 Modern infographs can be fun and fascinating, but when it comes to pure aesthetics, they've got nothing on the works of John Philipps Emslie, who mapped the Earth and the sky with an illustrator's flair. In fact, Emslie was an illustrator in addition to being a topographer. He wrote and illustrated New Canterbury Tales, and also collected tales of folklore while making topographical maps of England. But his scientific illustrations are particularly stunning, lending his own style to the majesty of the natural world.